South Central Correctional Facility is a medium security prison located in Clifton Tennessee. It has the capacity to house 1,700 adult male offenders. 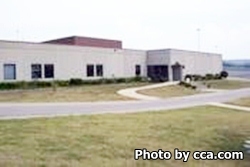 This facility is currently run by the private company Corrections Corporation of America under a contract with the Tennessee Department of Correction. Inmates at this facility can receive substance abuse treatment through the Residential Drug Abuse Program, sometimes referred to as RDAP. Work programs, medical, dental and mental health treatment is available to all inmates. Inmates at South Central Correctional Facility are given the opportunity to take adult basic education, literacy courses, and earn a GED during their incarceration. Offenders can also take career management for success courses which help train and prepare inmates for obtaining a job once they are released. Vocational training opportunities at South Central Correctional Complex include landscaping, information technology, carpentry, plumbing, and masonry. South Central Correctional Facility has visits on Saturdays, Sundays and State recognized holidays from 8am-3:15pm and on Mondays from 6pm-8:15pm. Monday visits are only open to offenders who did not receive a visit on the weekend. For more information on visiting inmates at South Central Correctional Facility read the visitation handbook here.